FA COMMUNITY SHIELD. OFFICIAL LICENSED PRODUCT. SUBBUTEO SOCCER. 70mm. Official Champions League Trophy Keyring. Brand new, solid metal. 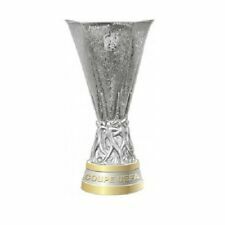 UEFA EUROPA LEAGUE TROPHY. OFFICIAL LICENSED PRODUCT. SUBBUTEO SOCCER. 80mm. Fullsize size Cup. 2018 World Trophy France Russia. Very Good Shine of gold polish. Made up of resin. 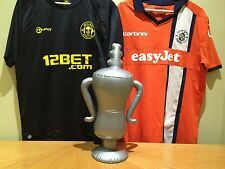 Inflatable Football Sports Trophy Cup - Suitable for FA Cup & Darts fans! A fusion between France Football's Ballon d'Or and the FIFA World Player of the Year award, it was considered the most prestigious individual honour in world football. Replica FIFA Ballon d'Or (Golden Ball) Trophy. Trophy Base: 7cm x 20cm. Shoe Length: 21cm. Colour: Gold. Total Height: 17.5cm. UEFA CHAMPIONS LEAGUE TROPHY. OFFICIAL LICENSED PRODUCT. SUBBUTEO SOCCER. 80mm. Note: The Subbuteo player is not included. The trophy stands 80mm high. CHAMPIONS LEAGUE TROPHY. League Trophy. Note: The Subbuteo player is not included. FA COMMUNITY SHIELD. FA Community Shield. 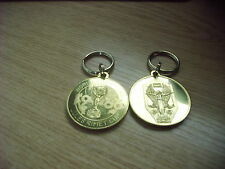 Official Champions League Trophy Keyring. Note: The Subbuteo player is not included. The trophy stands 80mm high. A red Liverbird Statue on a plinth with an engraved You'll Never Walk Alone plaque. 15.5 cm tall, Plinth is 7cm wide, Bird from chest to wing 5cm. Approx 6 inches high miniature replica of the Champions League trophy weighing 224g. In excellent condition. Official FA Cup Trophy Replica 150mm. Size: 150mm / 15cm (H). FA Cup Trophy Replica in 3D. English league football trophy. Colour: Silver base, Golden crown. Shades may vary from images shown . Ideal for parties or as a display item. The best gift for soccer fan. The best souvenir collectible. 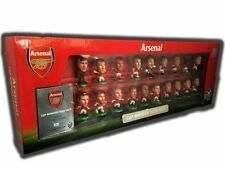 The Subbuteo player is not included. SCOTTISH FA CUP. A HIGH QUALITY 3D ENGRAVED MINIATURE REPLICA OF THE SCOTTISH FA CUP. THE TROPHY STANDS 100mm HIGH. He is shown give indication of the trophy size. 3 OFFICIAL MINI REPLICAS OF THE MOST COVETED TROPHIES IN WORLD FOOTBALL. 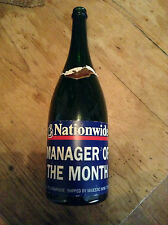 IF YOU ARE NOT A UNITED FAN YOU COULD DISCARD THE LID AND DISPLAY THEM ON YOUR MANTLEPIECE OR BEDSIDE TABLE. A REAL COLLECTORS PIECE. Liverpool FC LFC Red Liverbird Statue Official. 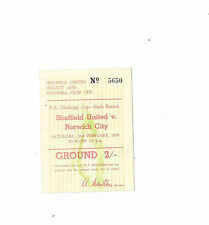 Originally used as a gift at away matches. Official Scottish Cup Trophy Replica 70mm. MINI WORLD CUP TROPHY for display. - NEW in sachet / kept in dust-free cabinet. 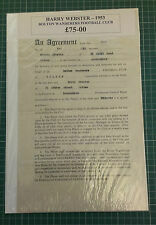 - a great collectible for all football fans. a great addition to your current collections.! Official CHELSEA FC UCL Winners 2012 70mm Replica Trophy. Detailed replica UCL stainless steel trophy on a resin base. CHELSEA FC. Size: 70mm (excluding base) (base is 40mm height). Official UEFA Champions League Trophy Replica 150mm. 2004 Vodafone Cup medal. Complete with original presentation box. Royal Mint. Will be listing 100s of items per week over the next few months. Genuine and full lifetime guarantee on its authenticity. Full refund also if you not 100% satisfied. Please see my other items. REAL MADRID CF. Height: 150mm (excluding base) / 240mm (including base and perspex). Detailed replica UCL stainless steel trophy on a resin base. Pewter mini FA Cup sold by Everton to celebrate their fa cup triumph. I have had this from new and it hasn’t been cleaned or polished. It is in good condition for its age as can be seen in the pictures. A rare piece of football memorabilia, a crystal presentation trophy which was presented to the four teams who participated in the preseason mini tournament The Amsterdam Tournament 2007. The four participating teams were; Ajax, Arsenal, Atletico Madrid and Lazio. The crystal measures at approximately 18cm in height and 13cm in width and is quite weighty. It is in perfect condition with no scratches or chips and is housed in a red box with a cushioned velvet compartment, the box does have some wear and tear on the corners. FA CUP TROPHY. OFFICIAL LICENSED PRODUCT. SUBBUTEO TABLE SOCCER. 100mm HIGH. Note: The Subbuteo player is not included. FA CUP TROPHY. The trophy stands 100mm high. FA Cup Trophy. 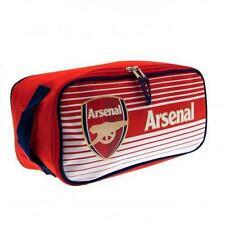 Great collectors item for any football fan. Crack at base which is shown in pics but does not affect the item in any way. Only selling due to relationship break up. UEFA EUROPA LEAGUE TROPHY. OFFICIAL LICENSED PRODUCT. SUBBUTEO SOCCER. 100mm. Note: The Subbuteo player is not included. The trophy stands 100mm high. The German Football Association (German: Deutscher Fußball - Bund [ˈdɔʏ̯t͡ʃɐ ˈfuːsbalbʊnt]; DFB [deːʔɛfˈbeː]) is the governing body of football in Germany. Five clubs have earned this honour: Real Madrid, Ajax, Bayern Munich, Milan and Liverpool. Replica UEFA Champions League Trophy 1 x Replica Champions League Trophy. Thecurrent trophy is 74 cm tall and made of silver, weighing 11 kg. Jack hogson grimsby town lincolnshire senior cup final v lincoln city @ Grantham 1936-37 winners trophy. > Recognised specialist - founded in 1997. 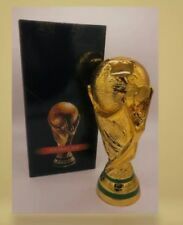 Official 2018 FIFA World Cup Trophy Replica 150mm.